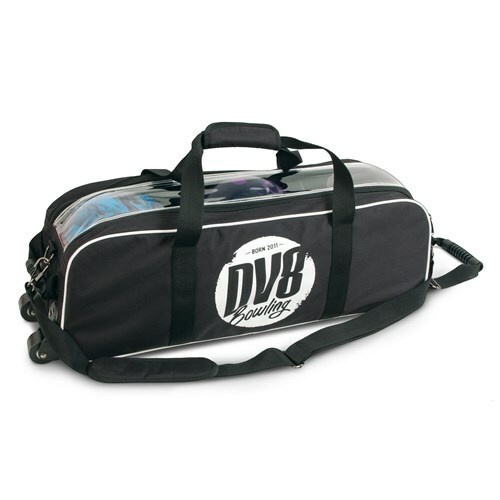 DV8 Tactic Triple Tote is the perfect roller for travel or tournament players. This roller holds only 3 balls and features a transparent top view to view your bowling equipment. At this time, this will be the only color option available. How much does this bag weigh? Is this bag airline weight limit friendly (Under 50 lbs when filled with 15 lb balls)? Without anything inside it can be around 12 pounds, with bowling balls and accessories, it can be up to 50lbs. Due to the time it takes to produce the DV8 Tactic Triple Tote No Pouch Black ball it will ship in immediately. We cannot ship this ball outside the United States.